Racking provides the ideal solution to your storage requirements and the pre-owned range of racking available at Rackzone means that you can avail of this shelving option even if you are operating with a tight budget. All pre-owned racking is examined and checked before we offer it for sale so you can be guaranteed that you are getting a top quality product at an affordable price. A range of delivery options are available on all pre-owned racking including next day delivery for your convenience. Pallet racks provide ample amounts of storage space for your work area, warehouse, stockroom and much more. To safely and securely store tyres of all sizes, tyre racking is the perfect addition to your work shed, stockroom, garage or retail unit. This type of racking efficiently organises your tyres making it easier for you to identify and retrieve what you need. 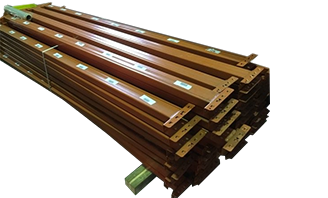 If you need to replace some or all of the beams in your current pallet racking or are constructing your own racking, purchasing pre-owned pallet racking beams from Rackzone is the cost-effective way to do just that.